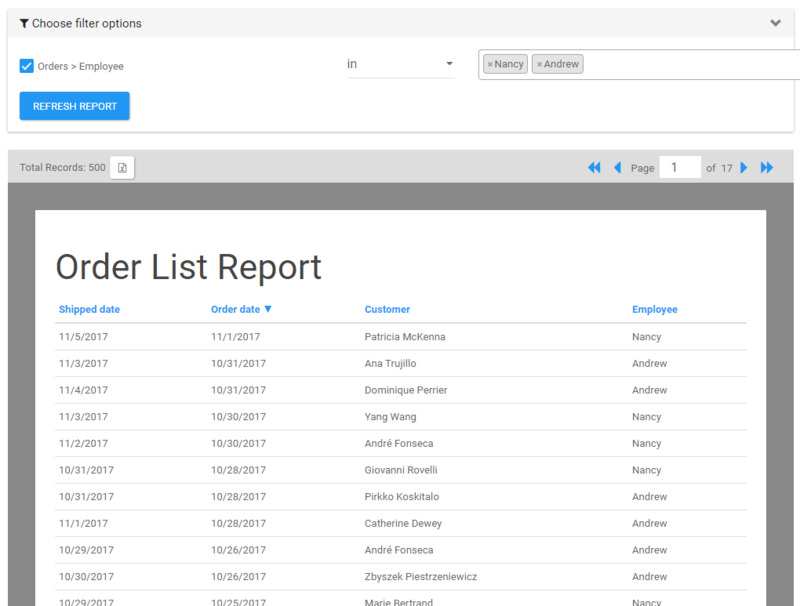 With .Net Report Builder, your end users can easily select values from a drop down list to filter their Reports, instead of typing in values manually. 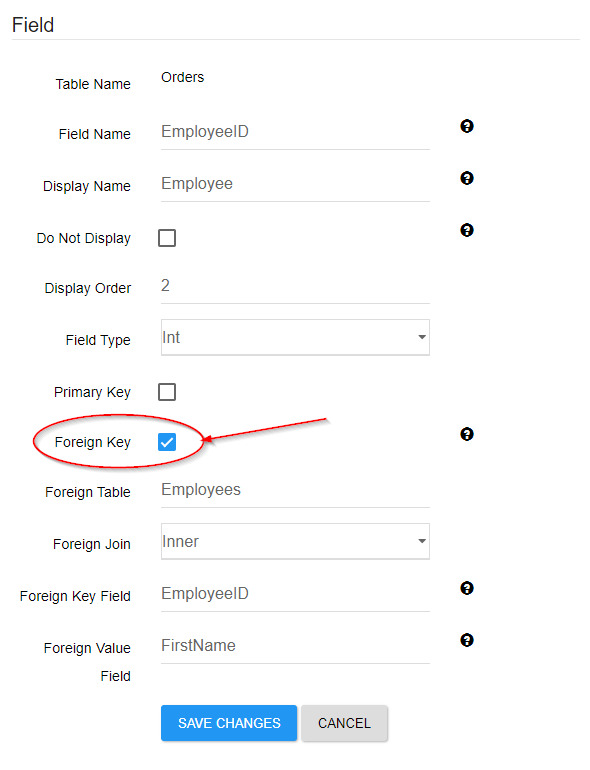 To allow selecting from a list, you must setup a Foreign Key when setting up the schema in the database. 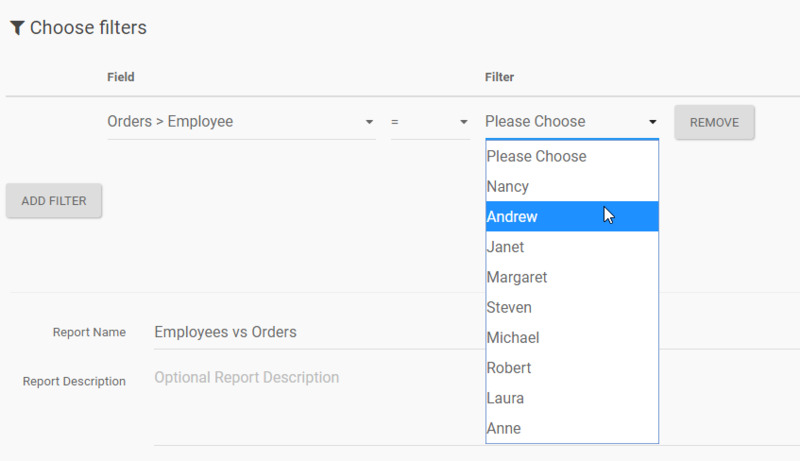 The Report will apply the filter for all selected values from the list.